Bonzai TrueSkin Ad spec - Nine Entertainment Co. The TrueSkin is a responsive desktop full skin unit comprising of a header, left and right skin plus a footer. On pages with a wide screen real estate the side skins will display. For smaller screen sizes the header will adapt to the available page width without the skins. 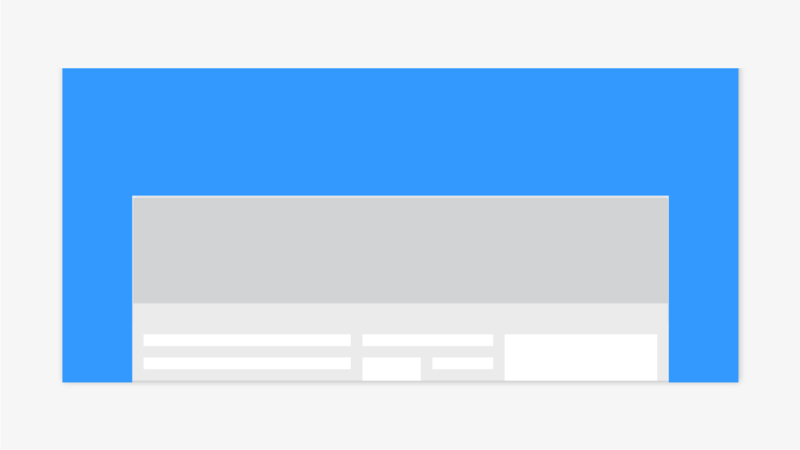 The header messaging can be anchored to the left and right gutters with a large hero graphic centred. Centre of Header must be solid colour or gradient that can stretch. Static or subtle animation only. No looping allowed for animation after 30s and load must take place during the subload of the ad. No additional animation allowed. When ad is trafficked, it minimises the regular Masthead ad container. Left and right of the header should match the left and right skins visually. Header will scale in the centre section, so the centre background should be a solid colour or vertical gradient as this will stretch. Left, centre and right hero images can float over the background - just supply via PSD to Bonzai. Ad is flexible based on the width of the website - if the site width increases, the creative adjusts. The left and right header background graphics should fade into the centre colour to allow for scaling. The left and right feature images in the header anchor to the left and right while the central hero graphic stays centred. A frequency cap is highly recommended for user experience reasons.